The Ready For Launch series asks questions of entrepreneurs to get the inside story behind a new startup or product launch. At the age of 31, Aaron Lee is launching his seventh company. You won’t find the term ‘serial entrepreneur’ in the dictionary, but if you did, chances are it’d be next to a picture of Generation T lister Lee—boyish smile and all. 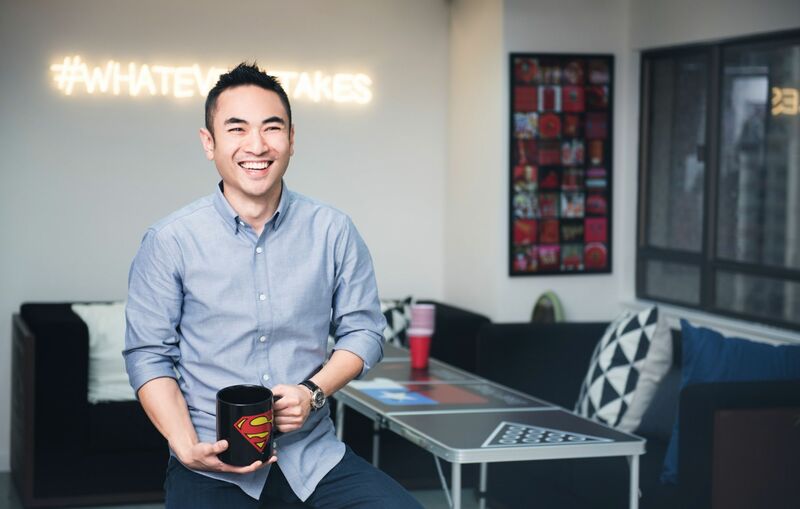 Starting his entrepreneurial career at 17, Lee had built e-commerce platform Ubuyibuy with fellow Gen.T lister Danny Yeung by the age of 22—selling it to Groupon just six months later. His latest venture, BlackDoors, feels like a natural progression of Dash Serviced Suites, an “asset-light, tech-enabled serviced apartment operator” Lee co-founded in 2014. While Dash offers high-end accommodation for those in town for longer periods, BlackDoors is more like “Airbnb for business travellers”—offering premium listings for shorter-term accommodation. Both share a similar supply chain and target market, but have a very different value proposition. We asked Lee to tell us more. Can you introduce the product in one sentence? BlackDoors is a home-share marketplace that offers hotel-level services. We feature premium listings, so we’re not targeting the mass market. We’re targeting “platform-ready” people who have higher expectations. That can be a business traveller, a premium leisure traveller—people who want more from an alternative accommodation marketplace. Aaron Lee at the Causeway Bay offices shared by Dash and BlackDoors. (Photo: Moses Ng/Hong Kong Tatler). Home-sharing is an alternative to staying in a hotel. Instead of staying in a boring, soulless hotel chain that looks the same in every country, you’re in somebody’s home. But with a home-share, you can’t expect the same experience you get at a hotel. Unlike other home-sharing marketplaces, with BlackDoors you don’t have to sacrifice these services and standards. We’re talking about airport pick-up, guaranteed clean linens, a 24-hour concierge hotline, a shared gym and office space. So the major value proposition is “What you expect from a hotel, you can expect from us.” You get the cosiness, community and authenticity of a home, with all the amenities of a hotel. What’s the size of the potential market? The global accommodation industry is worth US$500 billion; 150 billion of which is considered “premium luxury”. According to Morgan Stanley, which did a study on Airbnb’s adoption rate, 80 per cent of travellers have heard of Airbnb, and 25 per cent have tried it at least once. Currently, only 15 per cent of Airbnb’s business is from business travel, so there’s enormous growth potential in this area. With BlackDoors, we are banking on a couple of things. Firstly, the US$150 billion premium market is a sizable niche, especially considering the fact that to get a high adoption rate, a premium provider doesn’t have to manage nearly as many rooms. Airbnb has three million units on the platform, doing US$10 billion in revenue with 25 percent adoption. If you compare apple to apple, the BlackDoors model can achieve the same adoption rate with a third of the rooms. Secondly, the gap between 80 per cent (who have heard of Airbnb) and 25 per cent (who have tried it) is sizeable. That’s 55 per cent of all travellers that Airbnb isn’t able to convert because the person is not willing to accept non-hotel standards. That’s where BlackDoors comes in. The BlackDoors site allows travellers to search from hundreds of curated accommodation options. Who are your investors and how closely did you work with them through the product development stage? Mostly the money’s from Dash. Danny Yeung, another Generation T lister, is also an investor. He’s not too involved in the day-to-day, but I ask him for advice in terms of shaping the direction and the product’s value proposition. If you involve someone who’s not around every day to get a new set of eyes, you always get new ideas. That’s the best part of having an investor. It took a few months to put together a business plan, six months to develop the product and a few weeks for testing. Around nine months in total. "We’re constantly learning things about the customer and pushing new features on the site almost every other day." Did the product go through many iterations before arriving at the final concept, or is the final product fairly similar to the original idea? Not at all! I’d say even right now it’s not the final product. We’re constantly learning things about the customer and pushing new features on the site almost every other day. Last month, we had 10,000 people on the site—and they’re all behaving differently. But there are some behaviour patterns we’re noticing, and we’re making changes accordingly. What the customer sees in that three-minute window when they are browsing, and in what order, has changed completely and is still changing. It’s not as simple as building a product and releasing it. It’s launched but we’re constantly launching. Aaron Lee. (Photo: Moses Ng/Hong Kong Tatler). What did your market research tell you and how did that inform the final product? We spoke to our customers at Dash. Why they book with Dash instead of staying at a hotel—that’s the important question. Our customers often asked us if we have any short-stay options, so we kind of had a proof of concept already. We knew there was a demand there. What’s the biggest obstacle you faced in getting this product to market, and how did you overcome it? You never know exactly how people are going to react to things. You have a vision of what your product should look like, but you’re only one person. The biggest obstacle was making decisions based on what you think is best—but also knowing it will probably be wrong—and just moving forward instead of trying to overthink it. We’ve built this in a relatively short time, and it’s not a simple product. We made a lot of decisions that we knew would need to be reviewed later, but the objective was to get it out as soon as possible, get 10,000 people on the site to see what they are doing with it and make changes—that was our strategy. We knew that we were going to fall really hard on some things, and we’ve already made some costly mistakes. We could have launched two months earlier, but we spent time building some features that actually nobody’s using. So that was the toughest part of launching the product—deciding what to put in the first version, then prioritising which updates come out first. "We wanted to tell people that we’re hoteliers"
As a travel platform, your customers are all over the world. What’s your SEO strategy? It’s difficult to acquire customers by buying up the major keywords. You’re not going to be able to outmuscle the big guys, so that’s not our strategy. We only go after the lower-hanging fruit. We target specific event keywords that people are searching year-round. You want to appear in these without having to buy them, so we create landing pages specifically for Hong Kong attractions—music festivals, the Rugby Sevens, things like that. “Hotels in Hong Kong” and so on are too expensive and too crowded. If you buy that keyword you’re giving a lot of money to Google every month, and you’re putting yourself next to the hotels. How did you arrive at the final branding for the product? We wanted to tell people that we’re hoteliers. Yes, we are a tech company, but hotels are in our blood. At a destination you have no family, so we are your family—we take care of you. We empower you to make the most of the city. That’s the tone we tried to achieve with all our branding. For the logo, we use round edges because we want to be warm and welcoming. The logo looks like a house, but if you look at it from different perspectives it also looks like a concierge bell or a bellboy’s cart, so it has the hotel element. As for the name—“black” is serious, upfront. You sign business agreements with black ink, it’s the colour of trust. A door can mean many things. An open door is welcoming, but a closed door means security, which you care about when you’re at a new home or hotel. Hong Kong is our test market. It makes sense to start here because all of our infrastructure is here. In 12 months we want to be in as many destinations as possible in Asia. We are looking at places similar to Hong Kong like Singapore, Tokyo, Seoul, Jakarta—major cities that are dense, have a low supply but could use a lot of premium listings.